One of the most amazing aspects of your sponsorship of a child through Compassion is the way you get to speak courage, hope and love into his or her life. Your messages mean more than you most likely know. 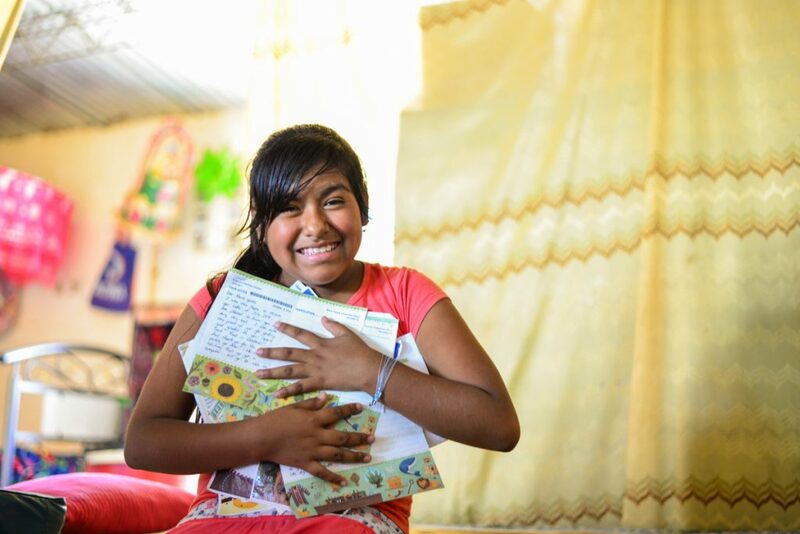 Maria, an 11-year-old from Peru, turned to her sponsor’s letters for hope and encouragement when her father walked out on the family. Reading them, she felt valued and loved when her circumstances told her otherwise. 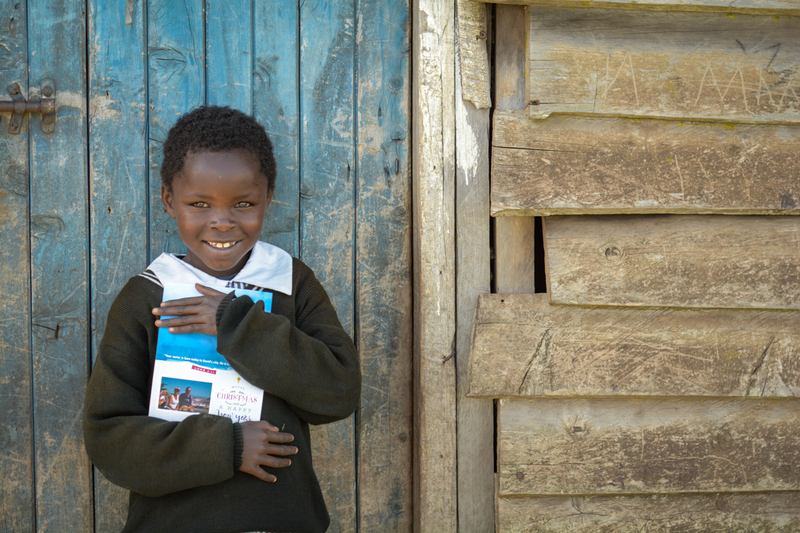 Maria and her sponsor’s letters. Just look at that smile! If you haven’t written in a while, a Christmas card is a perfect place to start! 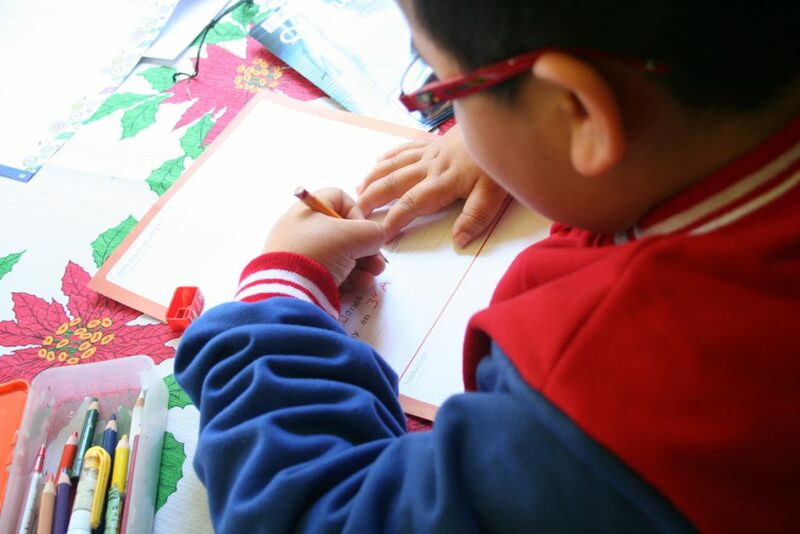 Here are a few tips to write a great Christmas card to your Compassion child. 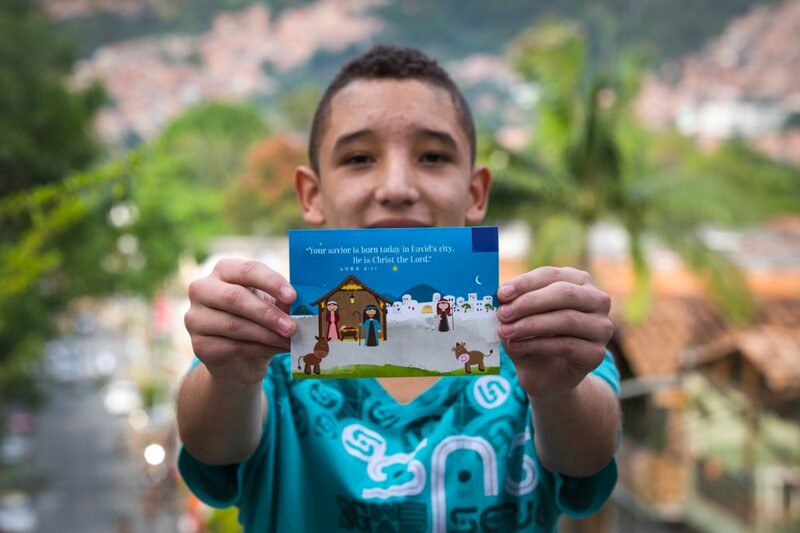 At Christmas, you have the opportunity to remind your Compassion child of the meaning behind the holiday—the incredible gift of grace God has offered us through Jesus Christ. Remind your child of the gospel message—that we have all sinned and fallen short, but that God offers us His free grace when we put our faith in Him! God is good, and you can trust Him. Trust in God and remember to turn to Him in all things. You matter—you are valued by us and by God! Kids love to get pictures of their sponsors! 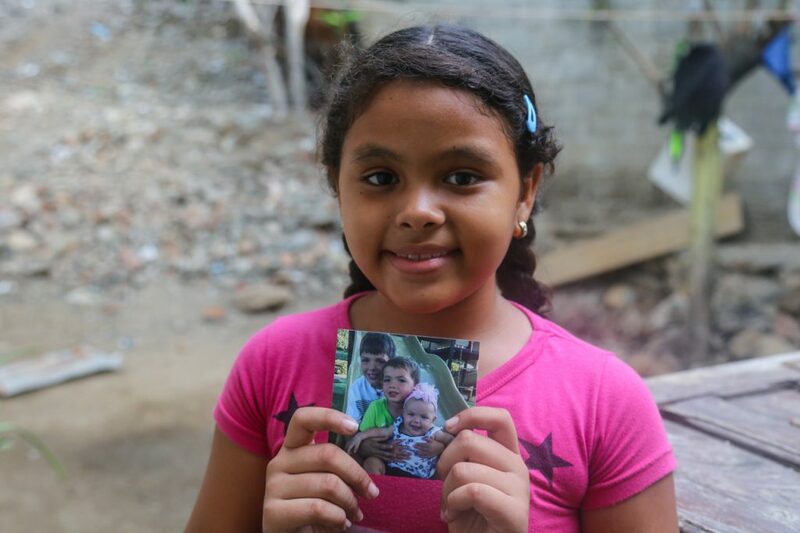 If your family has taken a picture for Christmas, send it along to your Compassion child too. Often, children look at these pictures as they pray for your family. If you are in a rush and aren’t sure if you can get it written in time, send a card quickly and easily on My.Compassion.ca. Now let’s get writing!